Fashionistas Daily .Com: The Art Of Illumination & The Mystical World Of Douglas Little For D.L. & Co. The Art Of Illumination & The Mystical World Of Douglas Little For D.L. & Co. I'm in awe of the creativity that lies within one Mr. Douglas Little. 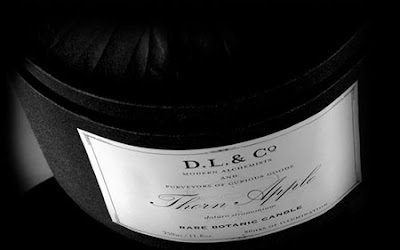 He's probably best known for his signature line of luxury candles under the brand D.L. & Co., but dig a little deeper and you'll find this is a man of many talents. His exquisite imagination reaches the deepest (and sometimes darkest) places, but he delivers it all with such haunting beauty. 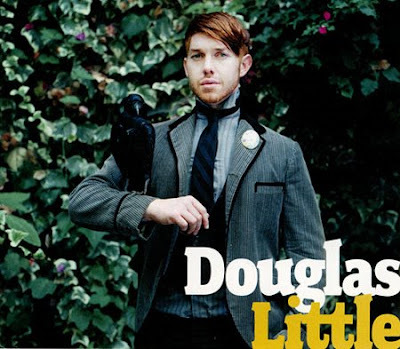 Douglas Little the founder of DL & Company was born with a desire to bring objects opulence and beauty to those who yearn for the uncommon and exquisite. Every item designed is intended to unfold like a love letter, each detail revealing a procession of small delights. Like the purveyors of curious goods in previous ages, every item is intended to stir and enthrall each and every one of the senses. 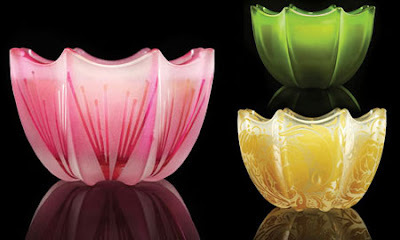 From the sleek feel of the carefully selected silk ribbons to the intoxicating atmospheres of the handmade fragrances. Douglas Little’s love of rare botanica, arcane curiosities and long forgotten sensations compel me to offer these modern heirlooms. Alchemy is the art of transformation; like those Alchemists before me, I aspire to turn leaden monotony into golden bliss. 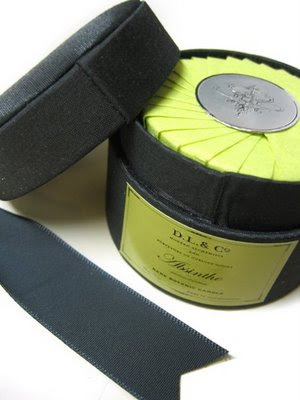 Through the intertwined poetry of the senses, DL & Co intends to transform the mundane into the magnificent. Mr Douglas Little is a sybarite of the senses who has created award winning images and ideas for the finest names in beauty. His appetite for rarefied pleasures has compelled him to bring DL & Company into being, so that he might share with others his passion for the hidden treasures of the world. 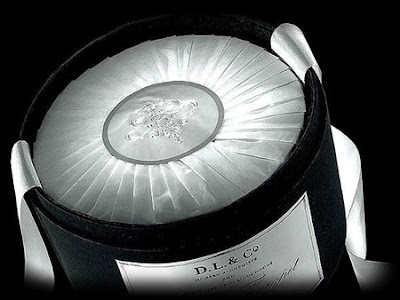 DL & CO exists for the sole purpose of bringing a more vibrant way of living into being, a refuge for those weary of the prosaic, second rate offerings that surround us all. Within the dim, opulent parlors of D.L. & CO, detail, craft and imagination are all greeted with a tender, reverent embrace and are cordially introduced to their lusty suitors, obscure botanica, Victorian surrealism and ancient charm. The fruits of their languorous unions are all found here. We humbly invite you to lose yourselves in their subtle yet vertiginous splendor. Stitched in Burmese Silk, these carefully crafted containers recall the boxes that held cufflinks and collars in the glory days gone by. 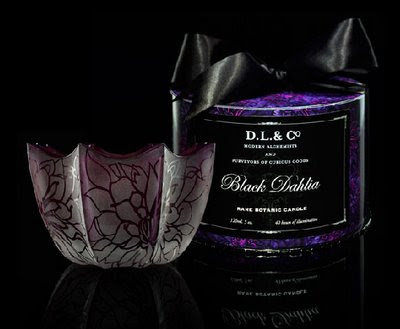 Your candle or diffuser are enclosed in a black satin ribbon imported from France, chosen for its exquisite sheen and weight. 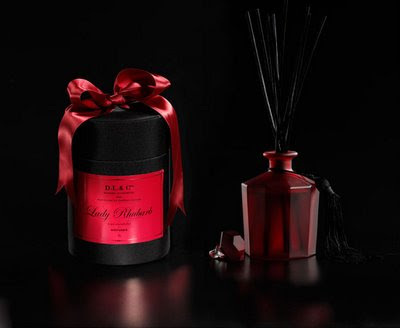 The meticulous interior of each box ensures your candle or diffuser a long life, preserving fragrance as its flame slumbers, nestled in a cool embrace of hand-pleated tissue imported from Switzerland, exclusively dyed for D.L. & Co.
Mr. D.L. 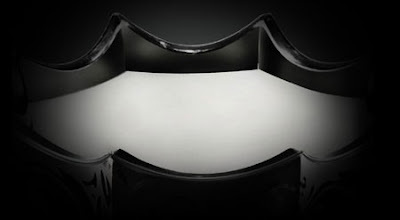 love & appreciation for finely crafted glassware served as the inspiration for this distinctive piece. Evoking the sublime vessels that flourished at the turn of the century until the middle of the 20th centry, it recalls the Art Deco period's penchant for organic yet stylized contours. The true brilliance of this floral design lies not only in its visual elegance, but also in that the form itself actually amplifies the fragrance while the candle is alight. 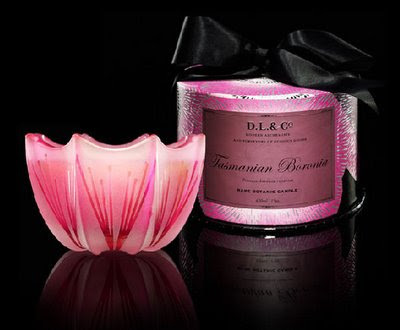 When awakened, the candle's fragrance reverberates into the air with a surprising liveliness. The bowl is created from fine grade australian sand, selected for its clarity, weight and ability to display an intense hue. The bottom of each vessel bears the artist's initials, and every bowl is hand-tinted, hence making each one unique. D.L. & Co. candles are comprised of a patented blend of high-grade european waxes, many of which are used for luxury body creams and lotions. One immediately feels the difference in the wax when one runs a finger along its milky surface. Moise but not greasy, it is virtually absorbed into the skin upon contact. This formul not only burns cleaner than any other candle, it also houses the delicately balance essential oils without altering their fragile character. 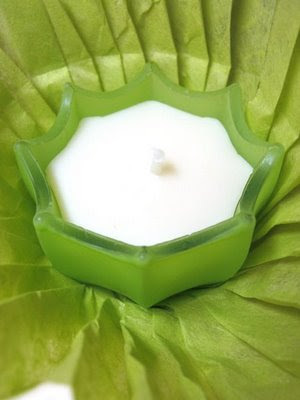 The wax in these candles is specifically designed to have a low melting temperature, thereby yielding a greater liquified surface area by which to better release the fragrance held within. 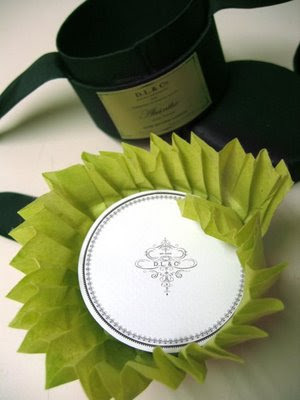 I am opening up one box of the "Absinthe" Signature collection candle to show you the beautiful hand pleated lining and packaging , the attention of details Mr. Little has put into all of his products! Absinthe scent is truly decadent, makes me think of Victorian era opulence. Their attention to detail really made my day, the larger candles come with a little card about the candle fragrance as well. The unveiling.. 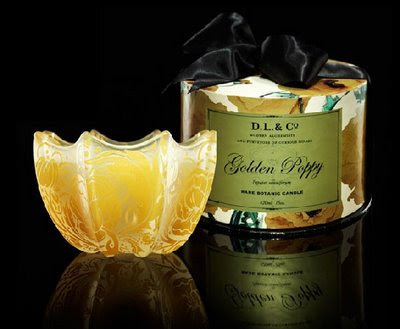 I love this candle, and after it's used up you can use it for other candles (votives) or as a candy dish (for the larger ones). Come back to check out our blog soon to see what other fabulous finds we've found!